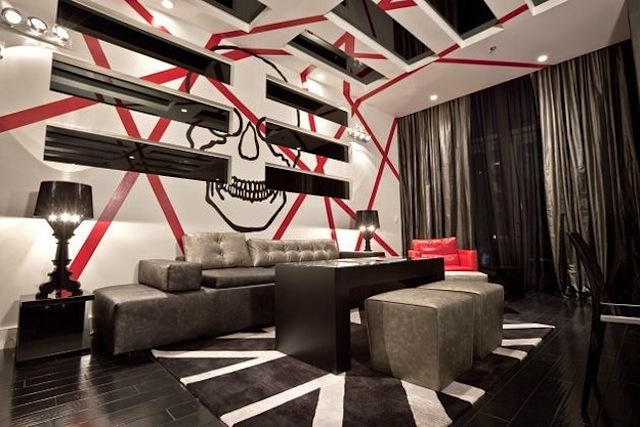 The intent of the Punk Rock Suite was to create a London-style, punk rock party suite. 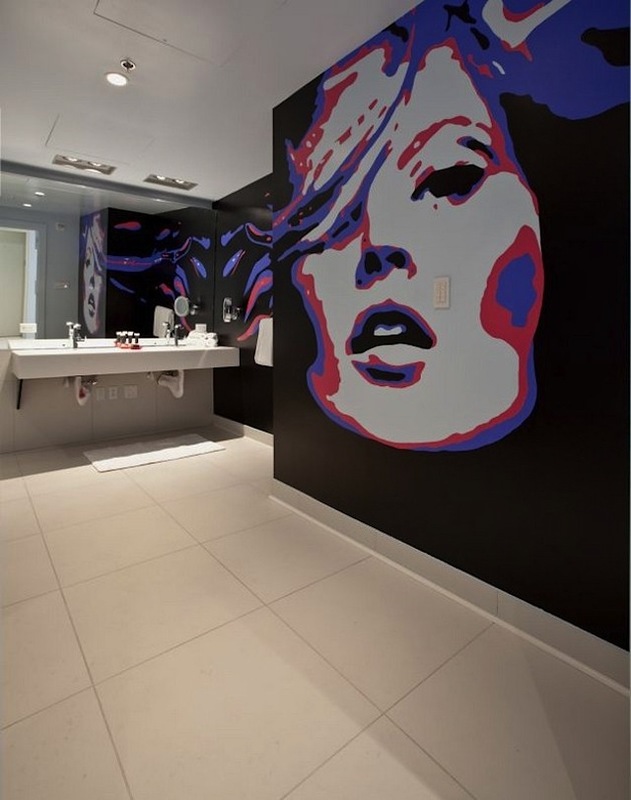 Bands of recessed mirrors and hand-painted lines in every direction, hand-painted wall murals, and spot lighting on the walls and ceiling pack the room with movement and action. 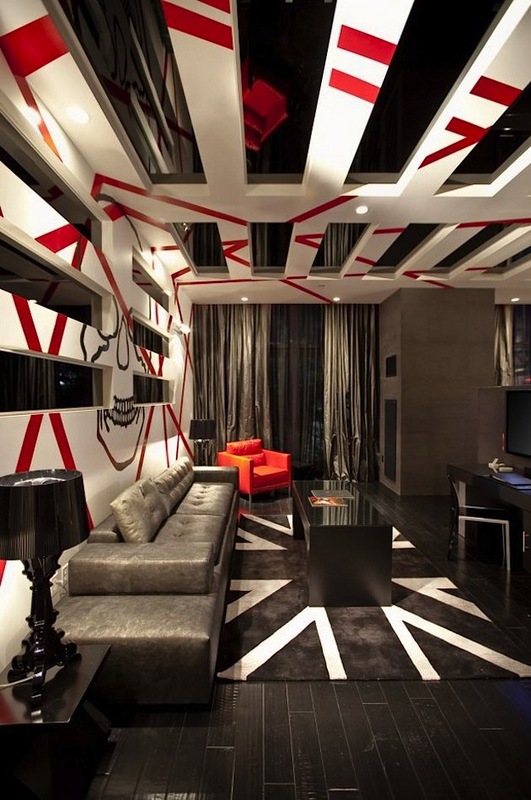 Stone-like grey wall tiles, black hardwood floors, custom modern furniture and a custom, hand-made Union Jack rug complete the London underground feel. 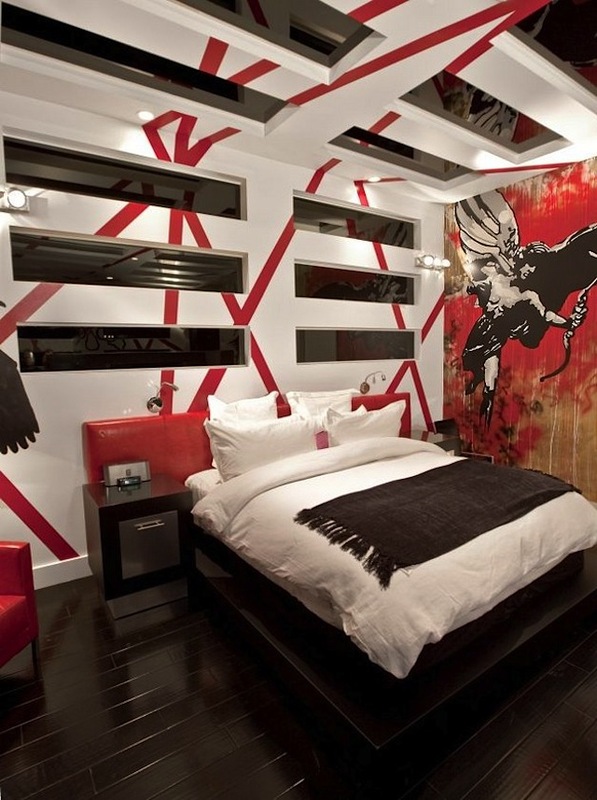 The intent of this design was to create a party suite with a modern, airy, Miami feel. The primary feature is a giant Cshaped bed lined with blue, imported Italian tile. 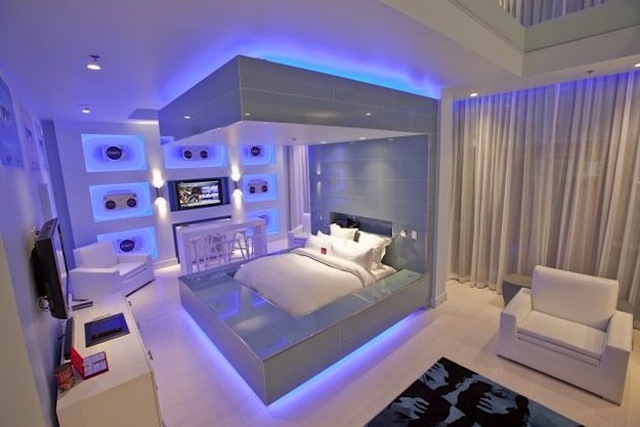 LED rope lighting and mirrored toe-kicks beneath the bed create the illusion that the bed floats above the floor. 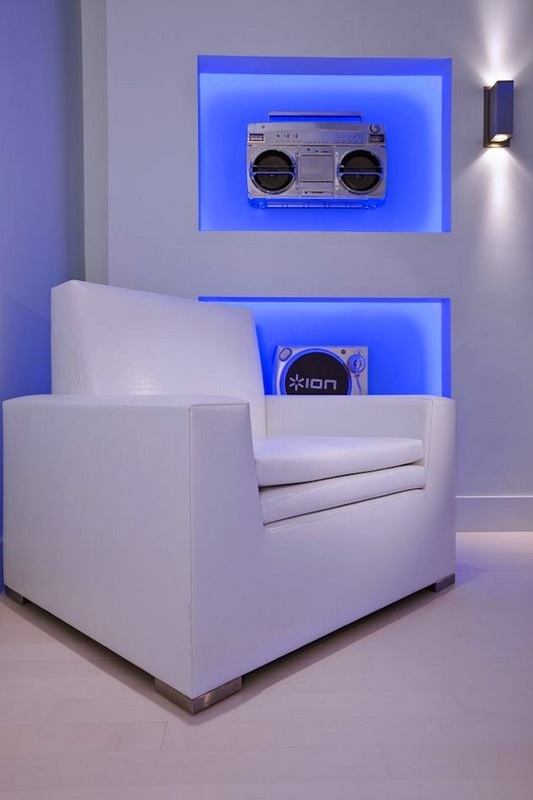 Laid-out like a party lounge, a solid-surface DJ table in “Milk Glass” foregrounds the second most noticeable feature: a wall of turntables and jam boxes framed in LED-lit alcoves. Additional features include custom-designed minimalist furniture, a custom, color-matched rug produced in Sweden, floor-to-ceiling sheers, sconce lighting, and mirrored ceiling niches. The primary challenge was a demanding timeline, having been hired late in the construction process. Far from appearing claustrophobic, the design calls for big windows, ample storage space, and spacious balconies. But interior design is as important as the layout; from pull-down beds to multi-use chairs, it is literally what is inside these micro-apartments that counts.